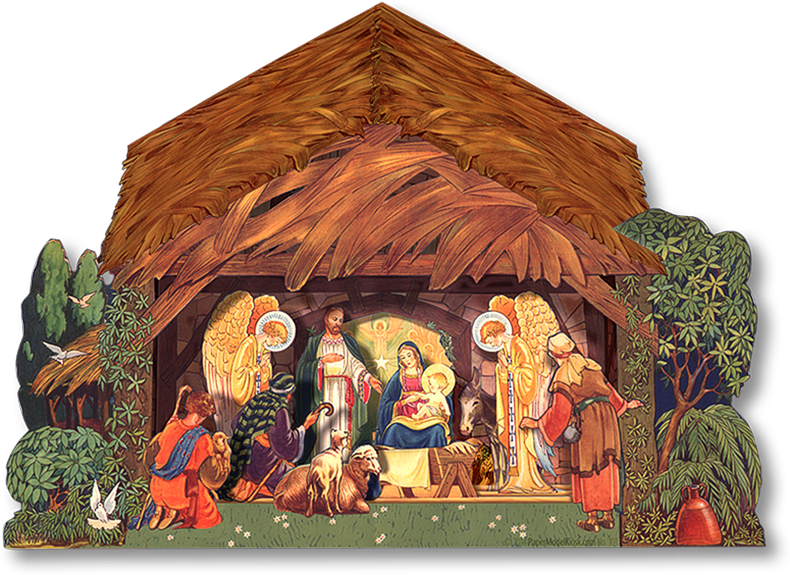 The two roof sections lift up and The Manger Scene folds down. 1930's punch-out The Manger Scene features the artwork of Corinne & Bill Bailey. There'sCorinne & Bill Bailey'sfine artwork, those rich, saturated colors. One of my favorite sets but it is actually Corinne and Bill Bailey. Corinne Ringel and Bill Bailey were a married couple, both artists who did some lovely paperdolls and other paper toys. Thanks, Mary, for pointing out that all-important ampersand! Thanks for your suggestion, which I might be able to incorporate were I to revisit this crèche. A Premium Download to print and assemble a fold-out nativity of six layers inspired by a 1930s vintage punch-out edition from the Crèchemania Collection. The 1930's vintage punch-out that inspired this nativity is offered elsewhere for $85. 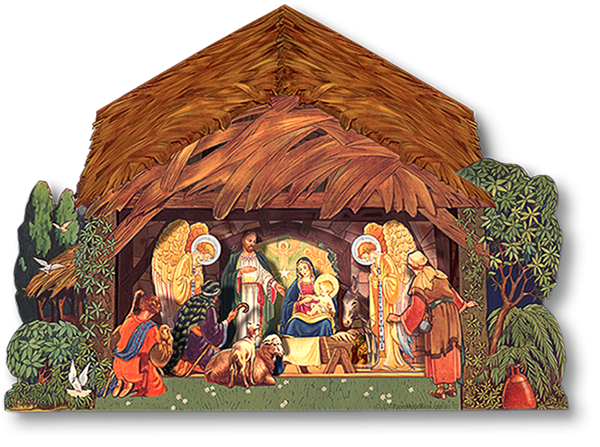 Buy The Manger Scene as part of a collection, and save!